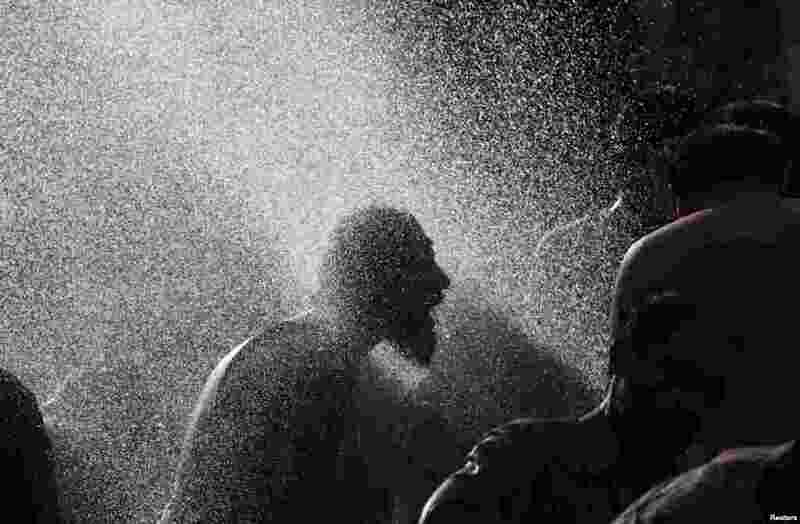 1 An anti-government protester takes a morning bath with others at a public pump during the Revolution March in Islamabad, Pakistan. 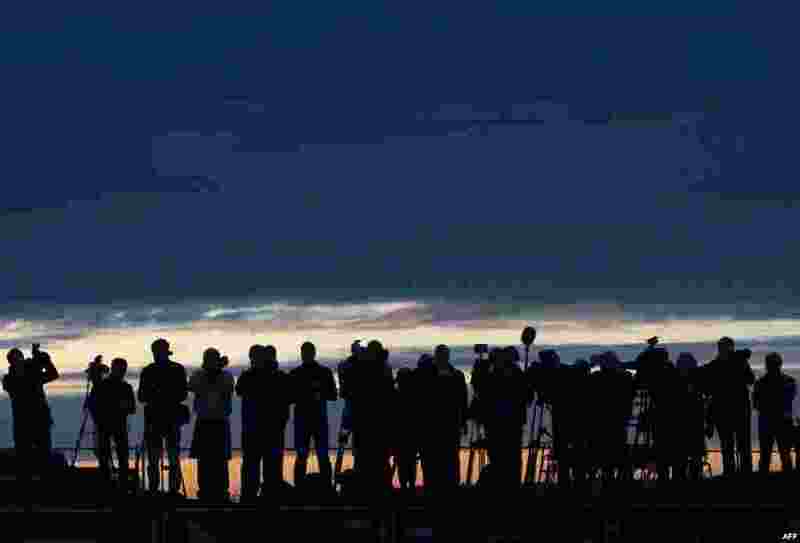 2 Estonian press photographers cover the arrival of U.S. President Barack Obama on Air Force One at Tallinn Airport during sunrise in Tallinn. 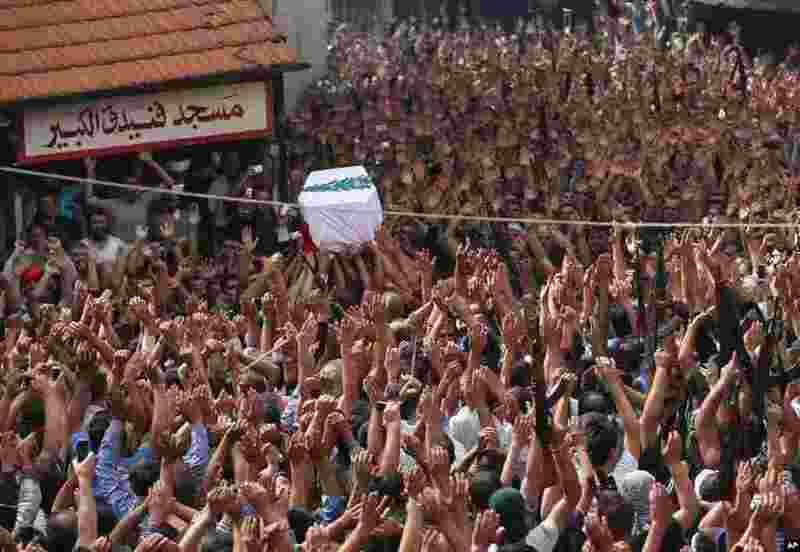 3 Lebanese mourners raise up their hands and weapons as others carry the coffin of Sgt. Ali Sayid who was beheaded by Islamic militants, during his funeral procession at his home town of Fnaydek, in Akkar north Lebanon. Sgt. Ali Sayid went missing around the same time that some two dozen soldiers and police were seized by militants from Syria who overran the border town of Arsal for several days last month. 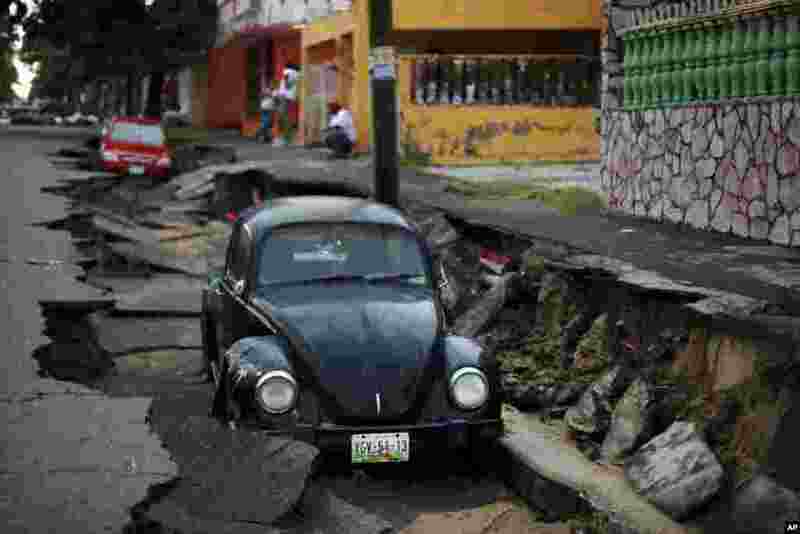 4 Cars sit on a street that collapsed after heavy rain in the Gulf port city of Veracruz, Mexico, Sept. 2, 2014.